Probably one of the most important bits of news for us this year, was that the Vulkan API was finished up and released. Not long after we had driver releases with Vulkan enabled for people to play with. We also had The Talos Principle and Dota 2 release their Vulkan-enabled builds quite quickly too, which was really nice to see. The Mesa developers continued push for improved performance is commendable too, I’ve seen plenty of extremely happy people seeing games go from unplayable to stable framerates on Mesa in a matter of a few months. Looking back on game ports that did actually arrive, let’s start with the obvious choice here with Feral Interactive. While we know they put out quite a number of ports, it wasn’t really clear to me just how much until looking this up. Feral released Medieval II: Total War Collection, XCOM 2, Tomb Raider, F1 2015, Life is Strange (all episodes), Dawn of War II, Chaos Rising, Retribution, Mad Max, Deus Ex Mankind Divided and finally Total War: WARHAMMER. Those are just the tip of the iceberg this year for Linux gaming, there’s been hundreds of others of course. With us now being at nearly 3,000 games on Steam. We had a silly amount of games released this for Linux year! We had well over 1,000 games released for Linux this year. There may be a lot of shovelware, but there’s still a lot of great games that have been released for us too. The list of games to come for Linux in 2017 doesn’t seem to be slowing down either. Mark my words, it’s going to be another truly massive year for us. Even if it does somehow slow down, we have so many games already filling up our library we don’t really need to worry much about finding something to play. 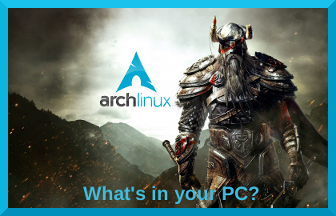 GOL do a great job of promoting linux gaming which is starting to be a realistic choice for developers and gamers. Well done and thanks. Love me some Steam+Linux gaming. Brushing the dust off this topic to bring you retro gaming heaven with added Kodi so you can use it as a media centre as well - Recalbox Linux! Recalbox allows you to re-play a variety of videogame consoles and platforms in your living room, with ease! RecalboxOS is free, open source and designed to let you create your very own recalbox in no time! Use Raspberry Pi, ODROID or even PC (x86)! Recalbox offers a wide selection of consoles and game systems. From the very first arcade systems to the NES, the MEGADRIVE, 32-bit platforms (such as the Playstation) and even Nintendo64. With Kodi already includeed, Recalbox also serves as a Media Center. By connecting it to your home network, you will be able to stream videos from any compatible devices (NAS, PC, External HDD, etc.). Now that 2018 is coming to a close, let’s go over what’s happened this year. It’s been incredibly interesting to follow, things haven’t been this lively for some time. Note: As this is a roundup of sorts, multiple links will go back to our articles talking about them. Now that 2019 is here, let’s take a look at what interesting games Linux fans can expect to see across this year. Grab a coffee, wipe away that new-year hangover from the wild party you had and take a look at just a small selection of what’s to come. We have a pretty mixed selection here, hopefully it will serve as a nice reminder for some titles perhaps you had missed being announced last year. ASCII graphics have been admired by most players especially those who prefer large pixels and old-school gaming. Even with the visually impressive games such as the Rise of the Tomb Raider or Forza Horizon 3, there are some classic ASCII games still out there which are more popular. This article is for all those who either already love ASCII games or would like to try these out for a change. If you've ever dreamed of piloting a plane, you'll love FlightGear. It's a full-featured, open source flight simulator that runs on Linux, MacOS, and Windows. The FlightGear project began in 1996 due to dissatisfaction with commercial flight simulation programs, which were not scalable. Its goal was to create a sophisticated, robust, extensible, and open flight simulator framework for use in academia and pilot training or by anyone who wants to play with a flight simulation scenario. FlightGear's hardware requirements are fairly modest, including an accelerated 3D video card that supports OpenGL for smooth framerates. It runs well on my Linux laptop with an i5 processor and only 4GB of RAM. Its documentation includes an online manual; a wiki with portals for users and developers; and extensive tutorials (such as one for its default aircraft, the Cessna 172p) to teach you how to operate it. As it turns out, there’s quite a lot! A lot higher than I was personally expecting it to be, it’s one of those times where I’m happily wrong. Overall, out of the 250 most highly rated titles on Steam as reviewed by users, 132 of them have official Linux support. Compared with Mac which has 156, we’re not far off there at all. Let's just remember how small the Linux gaming platform is compared to Windows, over 50% there really is impressive. To put it all together then—Linux titles that are officially supported plus Steam Play titles with a “Platinum” rating together make 153 out of 250 of the most highly rated Steam games. Overall, that's a pretty decent number of highly rated games available to play on Linux. Yeah, most of the window's steam games that I have tested work beautifully. I have been playing GTA V online for the last week. I must get around to Steaming one of these days. I just clocked GTA V solo a couple of weeks ago, and I'm stuck in Rise Of The Tomb Raider. Can't work out how to finish one level. Yeah, Rise of the Tomb Raider is cool game. I have it as well. I built a second Linux PC just for gaming. Right now I've been playing a lot of Civ 6, but my Steam library has at least 25 Linux games ready to go.